Keeping your car's tires fully inflated not only helps keep you safe, but also keep the environment healthy and your bank account strong. When tires are not inflated to their manufactured-recommended rating, they require more energy to begin moving and maintain speed. Keeping tires inflated to their proper pressure can improve your car's mileage, save fuel, and reduce emissions. What's more, properly inflated tires last longer, wear evenly, and are safer and less likely to skid or fail. Low tire pressure will change the way your car turns, brakes, and steers. If you hear a squeal when turning corners, it's likely that your tire pressure is too low. It's best to check tire pressure when tired are cold and before heading out on the road. It's recommended that you check your tire pressure at least once a month. Take care not to over inflate your tires, as that won't allow full tread contact. 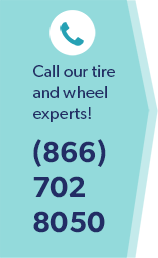 For more information on the importance of proper tire pressure, contact Wiygul Automotive Clinic. As a AAA-approved center for auto repair and maintenance, Wiygul Automotive Clinic specializes in complete foreign and domestic repair service for the Burke, Fairfax Station, Clifton, Fairfax City, and Springfield area.